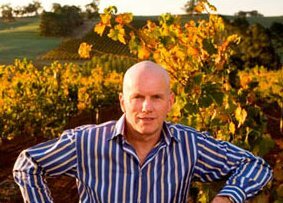 Jeffrey Grosset’s name is synonymous with the Clare Valley in South Australia, and with the Riesling grape in particular. Established in 1981 about 100 kilometres north of Adelaide, Grosset’s Clare Valley Rieslings are made from 100% estate-grown fruit, whilst vineyards in the Adelaide Hills supply grapes – mainly Chardonnay and Pinot Noir – for other cuvées. Back in the Clare, the Gaia vineyard at 570 metres is the highest point in the valley, and is the source of grapes for the Cabernet Sauvignon and Cabernet Franc-based blend that carries its name. Liberty Wines are the UK agents for Grosset. See all stockists on wine-searcher.com.